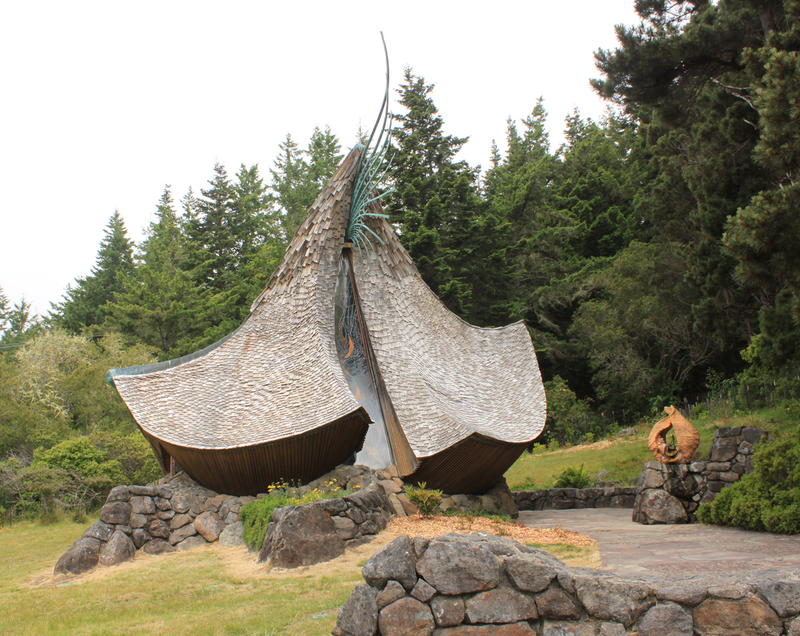 While I was at Salt Point, I visited the Sea Ranch Chapel just north of there. 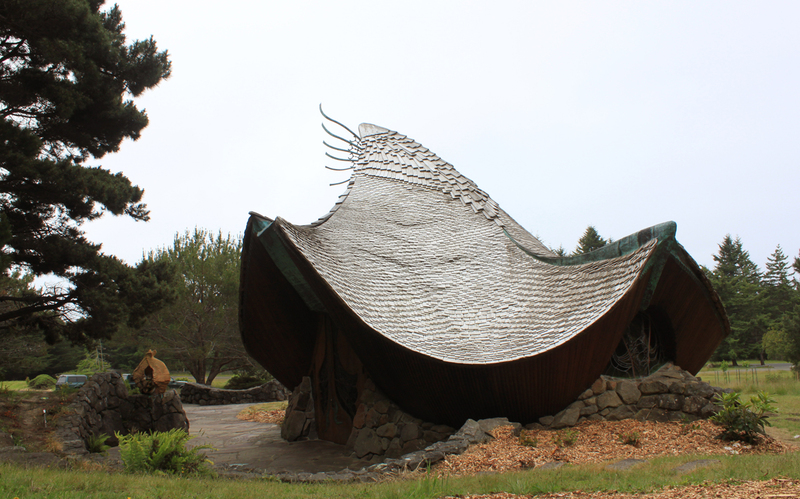 The chapel’s a fantastic building designed by San Diego architect James T. Hubbell, commisioned by two sea Ranch residents who wanted to create a ‘nondenominational sanctuary for prayer, meditation, and spiritual renewal.’ I love the form and the blending of materials. 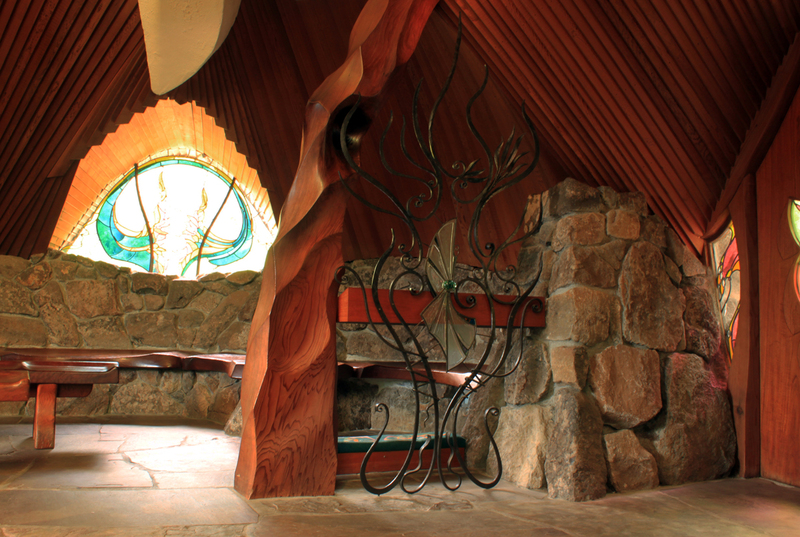 The design was inspired by the drawings of a local artist and is said to be based on winged forms. It also has a bit of shell motif going, though it’s of course abstract enough to offer a variety of interpretations. 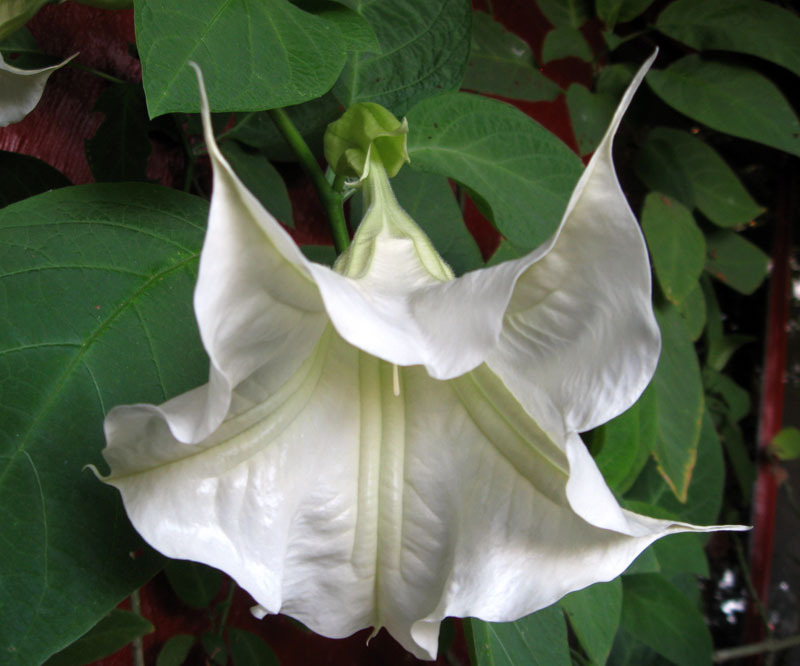 Personally, I think it resembles a brugmansia flower. 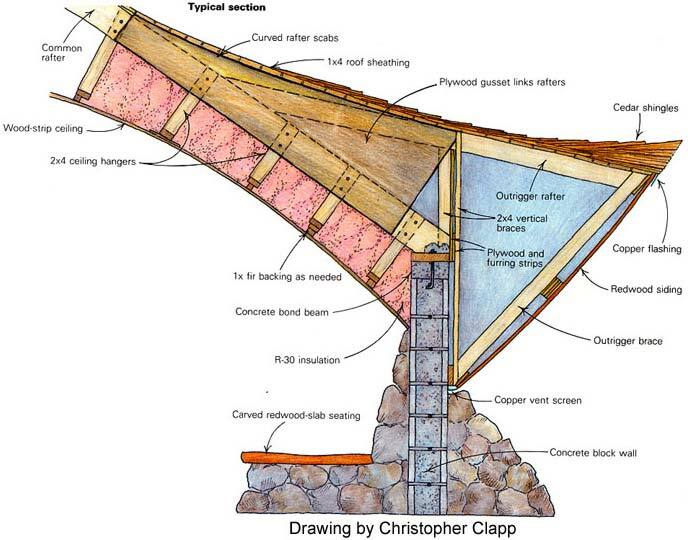 The Hubbell website says the supervisor on the project had experience as a boat builder, which makes a lot of sense; the framing looks like it’s for a boat, and the finished building looks somewhat like a sea vessel sitting on a cradle of rock. The moss rock (aka Sonoma fieldstone) is actually a facade over a cinder block wall, but the batter makes it look structural. 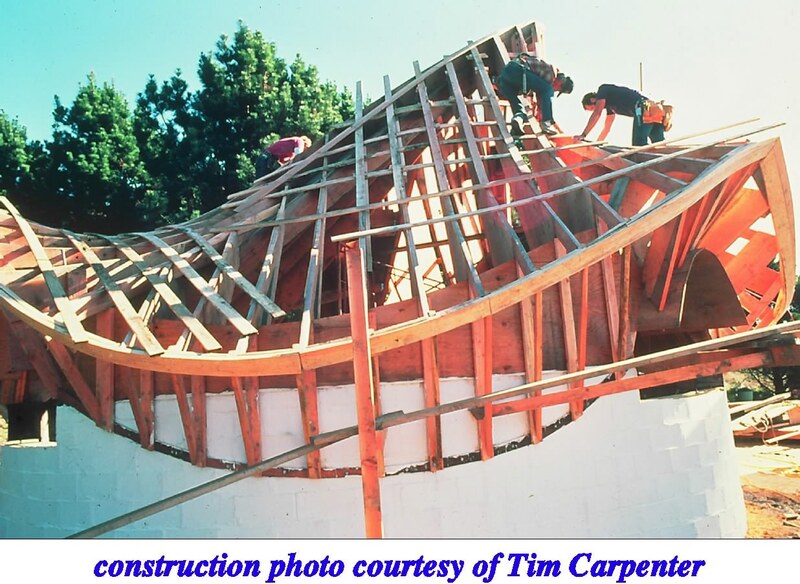 The section and the construction photo are from the chapel’s website, which also has a nice aerial photo of the building. 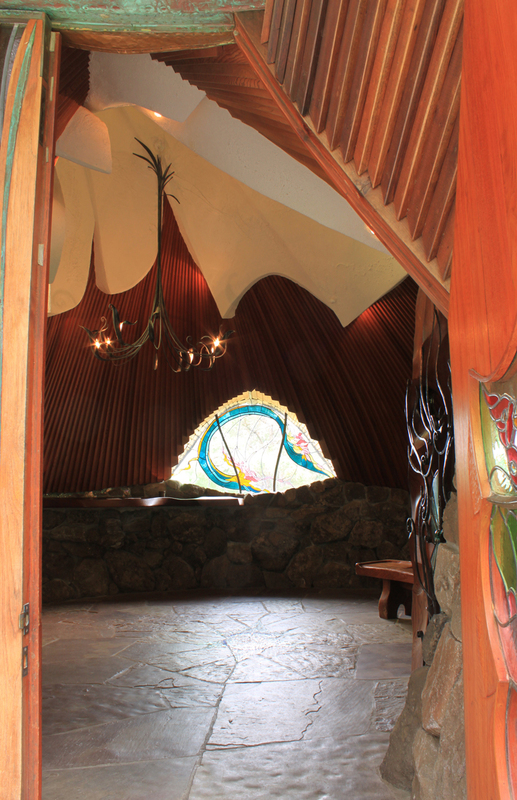 The interior is as striking as the exterior, with a flagstone floor, stained glass windows, and lots of beautiful woodwork. The windows and the wood made the building feel warm, even though the sky still was gray with its coastal-morning haze. It’s all very compelling and a steady flow of people visited while I was there, drawn off the highway to investigate. You don’t really see many buildings that combine rock and wood and glass and metal in such a unique way. Really well done. This entry was posted on Sunday, June 19th, 2011 at 6:59 am and is filed under stone. You can follow any responses to this entry through the RSS 2.0 feed. You can leave a response, or trackback from your own site. Love that place! We almost missed it on our trip north last November. Had the place to ourselves after a a couple people finished up smoking a joint inside. 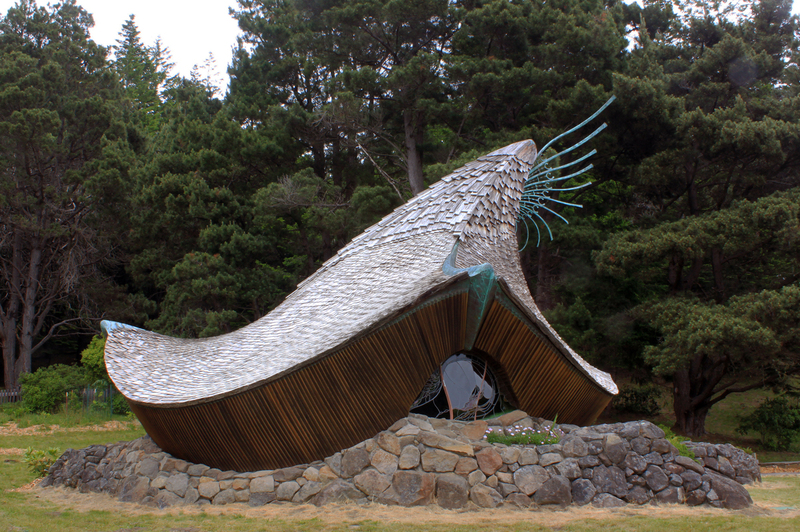 In the 80s I pored through piles of architecture books, thinking I might want to shift gears into architecture, and some of the images I remember most clearly are those of the early Sea Ranch structures by Charles Moore and his partners, and the startlingly natural landscaping that oozes a strong sense of place. The chapel in some ways tries a lot harder than everything around, but it still manages to fit in. I can definitely see the brugmansia form you mention–or maybe it’s a psychedelic datura? Thanks for posting on this very unique and lovely building. It looks so organic from the outside its hard to believe its all man made. 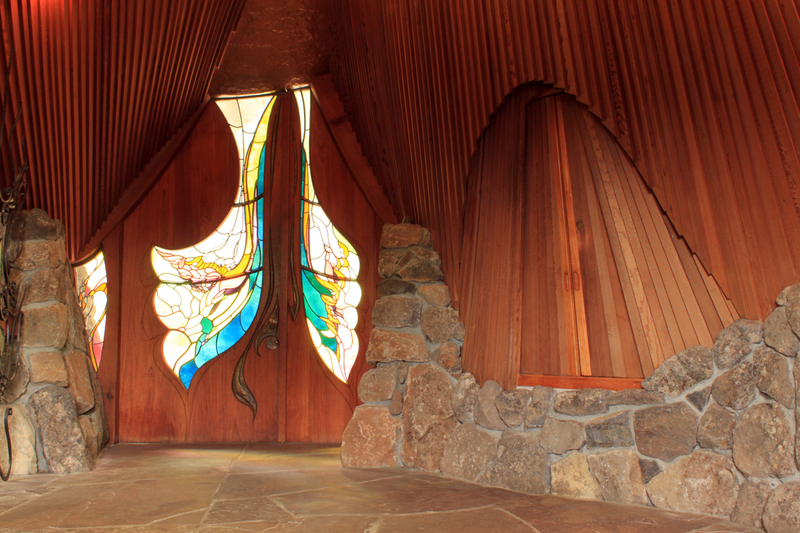 Love how you saw the shape of the Chapel in the form of the brugmansia flower. You’re spot with that!